This KCET story is viewer-supported. 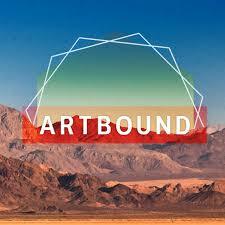 Artbound’s editorial team has reviewed and rated the most compelling weekly articles. After putting two articles up for a vote, the audience chose this article to be made into a short-format documentary. Originally from the UK, Meher McArthur is an independent Asian art historian, author and educator based in Los Angeles. She has two exhibitions currently touring the U.S.: “Folding Paper: The Infinite Possibilities of Origami” (through 2015) and “Above the Fold: New Expressions in Origami” (through 2017). She worked for many years as Curator of East Asian Art at Pacific Asia Museum in Pasadena, has collaborated with several Southern California museums, and advised for the V&A Museum in London. And still, she’s back in Iran right now today, on a trip making more art and peace. Inspiring and so brave! She will be home in LA again soon. Send those good vibes through the air.